In 2010, both the States of California and Washington enacted legislation that will require brake pads sold or installed in both states to have reduced levels of copper and other heavy metals. The legislation was enacted due to claims by environmental groups and regulators that as brake pads wear down, copper and other metals are deposited on roadways where they are washed into streams and rivers. about new brake legislation passed by California and Washington State? In 2010, both the States of California and Washington enacted legislation that will require brake pads sold or installed in both states to have reduced levels of copper and other heavy metals. The legislation was enacted due to claims by environmental groups and regulators that as brake pads wear down, copper and other metals are deposited on roadways where they are washed into streams and rivers. Copper is highly toxic to fish and other aquatic species. The new brake rules for California and Washington State will place significant compliance requirements for the entire distribution system from the brake pad manufacturers down to installers. While Washington State is in the process of finalizing their rules, California has not yet begun the development of their rules to implement the requirements. However, the laws have several similarities and it is hoped that California’s Department of Toxic and Substance Control will adopt much of Washington’s regulatory scheme. The following are some key compliance requirements for each entity in the distributions system. This summary is not intended to be a comprehensive list of all compliance requirements. Therefore, companies are urged to read both the California and Washington State laws and regulations to obtain full compliance information. Further, it is important to remember that for imported brake pads, the company importing the product into the United States is considered the manufacturer and will be held accountable for products sold in either Washington or California. all brake pad manufacturers and importers must provide a baseline report to the Washington State Department of Ecology. The report must include a listing of the percent by weight for concentrations of copper, nickel, zinc and antimony for each brake pad formulation that a manufacturer/importer markets. (January 1, 2014 in California) all brake manufacturers/importers must self-certify that their pads contain no more than .1 percent by weight of asbestos, cadmium, chromium, lead and mercury. all brake manufacturers/importers must self-certify that their pads contain no more than 5 percent by weight of copper. all brake manufacturers/importers selling in California must self-certify that their pads contain no more than .5 percent by weight of copper. Washington State has not yet determined whether it will adopt this standard, but will make that determination by December 31, 2015. As part of the self-certification process, manufacturers/importers must submit brake pad samples to a certified laboratory for testing. A manufacturer/importer may use an industry sponsored registrar who would submit the brake pads to laboratory on behalf of the manufacturer/importer for certification. Once certified as compliant, the registrar would assign the brake pad with a unique identification code. Brake pad manufacturers may use one set of testing results, self certification documentation and unique identification code for multiple products using an identical brake friction material formulation. The registrar would transmit relevant self certification documentation and laboratory testing results on to the Department of Ecology on quarterly basis in a table format showing each friction material offered for sale in Washington as identified by its unique identification codes and the cumulative average of all laboratory testing results for a given friction material demonstrating compliance with the regulations. The registrar must maintain a publicly assessable web site that lists brake pads that are in compliance with the law’s requirements. A manufacturer/importer that use a registrar is ultimately held responsible for compliance and the actions of the registrar. Companies that are new entrants and did not provide Washington State the required baseline reporting by January 1, 2013, must provide baseline reports before they can certify brake pads for sale in Washington. Washington also requires that the packaging contain a mark registered with the United States Patent and Trademark Office that certifies that the brake pad is in compliance with the appropriate standard. Brake pad manufacturer/importer is liable for a $10,000 fine per violation of the statute in both California and Washington. In Washington, manufacturers and importers may apply for a three year exemption from the requirements if the company can demonstrate that it is not feasible to meet the standard or that compliance would cause a violation of safety standards or significant financial hardships. In California, a manufacturer/importer can only apply for one, two or three year exemption from the .5 percent copper requirement that goes into effect in 2025 if the company can demonstrate that a safe and available alternative does not exist. . The Washington law exempts pads produced as part of original equipment service (OES) contract for vehicles manufactured prior to January 1, 2015 for asbestos, cadmium chromium lead and mercury and prior to January 1, 2021 for copper. An OES exemption can only be applied to brake pads that have identical bake friction material formulation as those that originally came with the new motor vehicle. There is no exemption if there are any changes to the design of the service part’s brake friction formulation or if the brake friction material manufacturer sells the pad to any party other than the vehicle manufacturers. California law provides a legacy exemption for brake friction material that does not meet the standard for 5 percent copper standard for use on vehicles produced prior to 2021 and for .5 percent copper standard for use on vehicles produced prior to 2025. Non-complying brake pads produced prior to each compliance date can continue to be sold in Washington State for 10 years following the compliance deadline. In California, brake pads can continue to be sold for use on vehicles produced prior to model year 2021 for 5 percent copper and 2025 for .5 percent copper. A fine of up to $10,000 per violation can be assessed on a distributor, retailer or installer that sells or installs brake pads that do not comply with the law in both states. In Washington a distributor, retailer or installer that sells brake pads which are properly labeled in compliance with the law will not be held liable for a violation unless the Department of Ecology can prove that the distributor, retailer or installer was aware that the brake pad being sold did not comply. 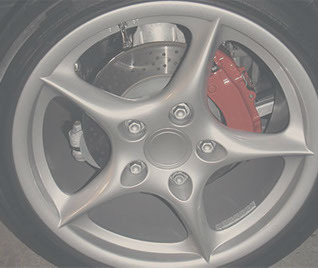 In California, the state has the discretion to waive the imposition of a fine on a distributor, retailer or installer based on certain criteria including the amount of brake pads offered for sale, the presence or absence of prior violations and whether due diligence was exercised in determining that the brake pads in question were in compliance with the law.